With the proliferation of mobile devices in enterprise, many IT leaders are concerned about the threat of data leakage, unauthorized access, lost devices, and malware. 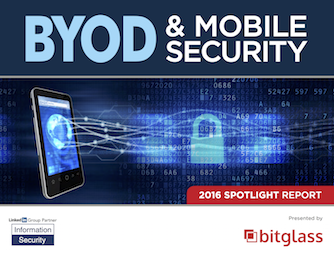 Over 800 cybersecurity professionals participated in a survey on trends in BYOD and the far-reaching impact of mobile breaches. In this report, learn how organizations are enabling secure BYOD and mitigating these top threats by leveraging emerging technologies such as agentless Cloud Access Security Brokers (CASBs).